Mackair offers a comprehensive range of electrical services for residential, commercial and industrial clients. Established in 2000, we provide reliable electrical maintenance and electrical installation. We also handle air-conditioning in the Mackay area, as well as security alarms, security cameras and building automation from various major brands. We service Auto Ingress automatic doors, Bosco alarms and cameras, GE and Tecom alarms and Fujitsu and Samsung air conditioners. Aside from our services, you can rely on our premium quality products. We have security cameras and alarms, air-conditioning units, automatic doors and gates, as well as intercom and telephone and data cabling. We guarantee you that we utilise only high-performance and reliable products in all our services. In addition, we have multi-skilled tradesmen who can guarantee quality workmanship delivered prompt and professionally. The level of workmanship we render has built us an excellent reputation, which made us the preferred team to provide property maintenance for property managers and landlords. Mackair holds an ARCtick licence, adhering to the standards and regulations of the industry. We have electrical and security licences as well. Heating, ventilation and air conditioning contractors – also known as HVAC – install and repair various heating and cooling systems to improve the comfort and efficiency of your home. Options include standard air conditioning, underfloor heating, ducted air, gas heating and more. 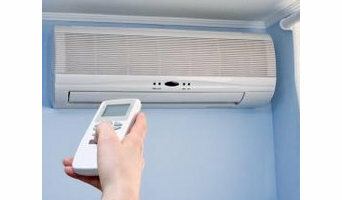 Speak to a heat and air conditioning specialist in Mackay, Queensland to find out how they can improve the functionality of your home. At home, Australians use, on average, 40 per cent of energy on heating and cooling, so it’s wise to seek expert advice from a HVAC contractor in Mackay, Queensland on the most economical systems and models for your home. Your climate, the type of model you use and where you position it, for instance, will make a big different to your home’s comfort and how much energy you use. A HVAC contractor can also advise you on the best reverse cycle air conditioners, heat pumps, hydronic central heating and gas heating. Should you or anyone in your family suffer from allergies, they are also knowledgeable of the best anti-allergen filters and will be able to change your air conditioner’s filters, clean ducts or remove any debris around units. Other areas of expertise include refrigeration work, pool heating and dehumidification. Find heating and air conditioning contractors on Houzz. Look in the Professionals section of our website and search for Mackay, Queensland Heating and Air Conditioning contractors. Read reviews and see how a HVAC contractor might approach your Mackay, Queensland home’s heating and cooling challenges.